If you live in the UK EDIE is now shipping, order on DVD or Blue-ray for Christmas. 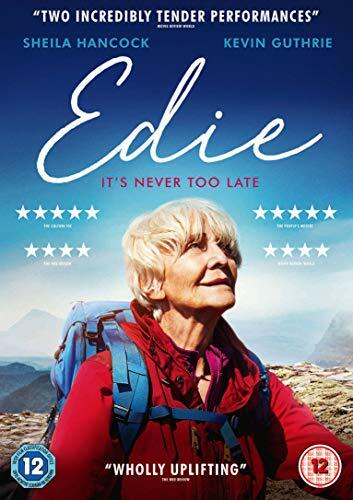 Book tickets for EDIE HERE....opens across UK on over 100 screens this Friday May 25 and at over 150 screens the following week. Edie packed out the theatres in Cleveland, Ohio for the 42nd Cleveland International film Festival. Simon did a Q and A and introduced EDIE to sell out Ohio audiences in three separate screenings. The film was so popular that the festival doubled the amount of screenings to six. On two separate days director Simon Hunter was racing from one packed screening to another. Simon comments, "it was insane, so many people wanted to see the movie and you learn how important good word of mouth is. That doubled our audience overnight." Simon introduces EDIE at the Cleveland International Film Festival in Ohio. Simon talks about making EDIE at the Cleveland International Film Festival in Ohio. We are pleased to announce that EDIE has been selected for the 2018 CLEVELAND INTERNATIONAL FILM FESTIVAL. 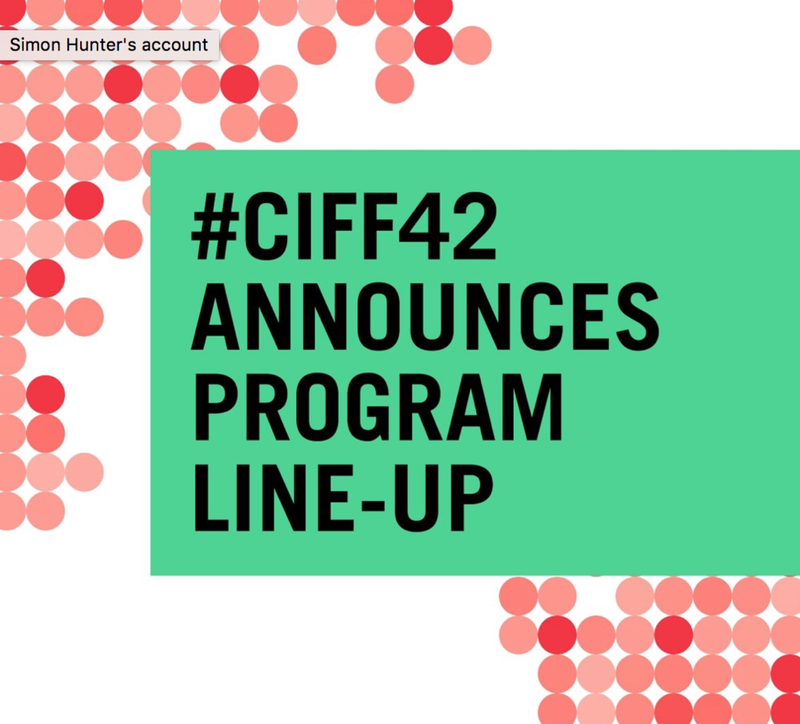 The screenings will take place on April 6th, 7th, 8th. Tickets and exact showtimes can be found at the festival box office HERE. Simon will be introducing the movie and taking a question and answer session at the films close. Simon spent a year as an exchange student in at Seven Hills high school in Cincinnati so Ohio is close to his heart. We are very pleased to announce that Edie has been selected into one of the worlds most prestigious film festivals. Edinburgh International film festival will be screening Edie on June 26th and June27th 2017. More details can be found at the festival web site HERE. Simon commented, "just so pleased for everyone, it's well deserved for the the crew and particularly Sheila (Hancock) and Kevin (Guthrie) who gave so much. I really hope everyone can appreciate the Herculean lengths Sheila went to for us not just with a subtle, beautiful and tender performance but physically, day in day out. I'm not sure I'll ever see that again in my lifetime, was amazing to witness." Simon's next movie, Edie has opened it's new WEBSITE News, videos and articles about the movie can be seen there. Simon is in Berlin finishing the film with final checks on titles, the grade and visual effects. Simon commented "It seems funny to be doing visual effects in a movie that was shot entirely for real and on location. We are really smoothing out a few things, the removal of crew in a few arial shots, adding stars and removing roads and traffic in other shots. We are almost at the finish line....it's been great and VFX company Automatik in Berlin have been fantastic. " Edie has moved on to it's final stage of colour grading and sound mixing. The film was shot 4K with Zeiss Prime lenses on the Arri Alexa. The sound is being mixed in Dolby Atmos with multiple records of wind and atmospheres specially recorded for Edie in Scotland. We are now entering the final month of post production on my film Edie. One of Britiain's finest film composers Debbie Wiseman MBE recorded the score last week at Angel studios in Islington, London. It's truly a beautiful and poetic piece of work that richly enhances the film. The score is orcestral with solo guitar symbolising the heart of Edie, our adventuring hero. Attention has now turned to sound mixing and grading at Post Republic in Berlin, Germany. One of Britain's finest film composers Debbie Wiseman is to compose and conduct the musical score to Edie. Famous for many feature scores such as Wild, Tom's Midnight Garden and numerous scores for television such as Wolf Hall and The Flood. Debbie scored Simon's first feature film LIGHTHOUSE which you can buy here. "I am just so delighted to have Debbie onboard the project, she brings not just incredible musical talents but also an ability to read a film so well. She instinctively knows what's going on sub-textually on the screen and that adds another dimension to the music" commented Simon. "More than just a score, Debbie's music is like another re-write of the script, taking the story to another level." The score will be recorded in the New Year. Edie has been locked and has now entered the world of post production sound, grading and visual effects. Work is being carried out at The Post Republic in Berlin, Germany. The film is being graded and conformed in 4K and mixed in Dolby Atmos. Simon commented, "I have always tried to push the envelope of post production sound. My very first student film, Tea and Bullets was mixed in Dolby SR which was unheard of for a student film back in the day. Today we will venturing into object based sound mixing with the exciting world of Dolby Atmos, I can't wait. Michael and the team at Post Republic are ready to go and the facilities are second to none. With a bit of luck we will finish the movie in late January." Edie is now heavily into post production - with one of our two pick shoots complete. The next shoot is in early September to complete a hotel interior scene with Sheila Hancock. Shortly afterwards the cut will be locked and we will move into sound post production and colour grading. The aim is to have the picture compete by late November of this year. Special pages and articles on Simon's new movie Edie have just launched - head over to didicated EDIE pages. Simon's latest feature film Edie has wrapped principal photography. Shooting took place over five weeks, shooting in north west Scotland and in London. Sheila Hancock plays the title role of Edie and she is joined by Kevin Guthrie as Jonny. "The shoot was really hard but we had a fantastic crew who really worked around the clock and help make what will be a special movie I think" said Simon. The movie is shot on the Arri Alexa mini with Zeiss master primes lenses. About fifteen weeks of post production will start in June and the Simon and the team aim to have the movie completed by Christmas.